First Annual YWCA Dash and Bash a Success! 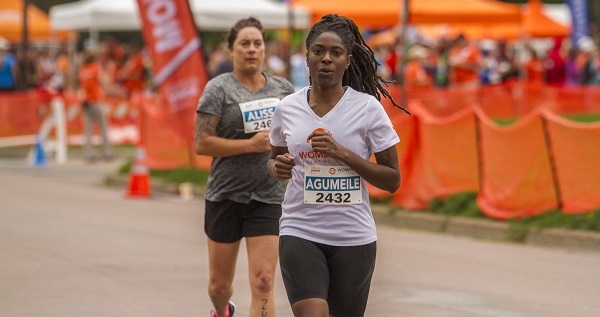 The first annual YWCA Dash and Bash successfully brought together our community this past Sunday, September 30 to make a powerful statement about our commitment to eliminating racism and empowering women and girls. Thank you to the incredible team captains, fundraisers, donors, volunteers, sponsors, staff and community partners who collectively advanced our mission! Fundraising deadline is October 15! There is still time to share your experience and give your friends, family members and co-workers the opportunity to contribute and support the impact the YWCA is making in the lives of 6,000+ individuals we serve in Boulder County and 2.2 million women and girls across the country. Receive the official Dash and Bash statement t-shirt to show your pride in empowering women and eliminating racism, as well as the activities pass. Receive a commemorative Dash and Bash water bottle, the statement t-shirt and the activities pass. Receive a special piece of handmade artwork by the children at Children's alley, the water bottle, the statement t-shirt, and the activities pass. Receive all of the incentives above and to be part of the Elite Feet to Empower Women. Come join us at a special party that will be thrown at the YWCA post-event. Receive an in-person thank you from the incredible women and children you are helping. Join the Social Justice Champion Club. Receive all the incentives listed above and also a small dinner or lunch with the YWCA Boulder County CEO to share your ideas and concerns related to making a greater impact for women in our community and beyond. Double the impact of your giving or you donors' gifts using the company matching gifts program. Check with the HR department at the company to find out more about specific programs. If you have matching gifts please email Debbie Pope at debbie@ywcaboulder.org so we can track these contributions toward your fundraising totals. Can donors still give after the October 15 deadline? ABSOLUTELY! The YWCA Boulder County is supporting our community with direct services, issue awareness and advocacy throughout the year. Donors are supporting this important work by generously contributing.